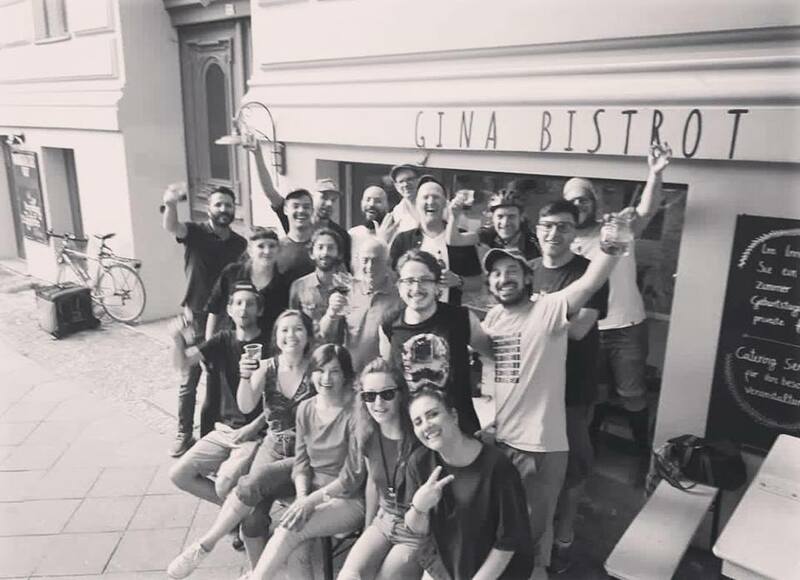 Between the areas of Prenzlauer Berg and Mitte, there is a new restaurant of two Italian-Berliners, who every day prepare a great amount of tagliatelle, gnocchi and fresh pasta to delight the palate of whoever wants to eat delicious food. The price-quality ratio is excellent. Lowest price of a portion is € 7,50 and it is unlikely to pay more than € 10. Ravioli, fettuccine, tagliolini, pappardelle, quadrucci, maltagliati, lasagne, gnocchi and tagliatelle are characterized by classical dressings of the italian cuisine: ragù, butter and sage, mushrooms, truffle, vegetarian ragù (aubergines replace the meat and scamorza replaces the parmesan) etc. You can’t find always all the ingredients, it depends on the day and on the freshness of the ingredients you can find at the market. Diletta and Giuseppe, respectively born in 1986 and 1983 have a rule: “all the ingredients must be fresh”. One day you will taste ravioli ricotta and spinach and on the following day scamorza and turnip greens. There is no guarantee, it is better to call the restaurant if you want to be updated about the daily menu. If you visit us without booking a seat, you will be surprised, because our ingredients are excellent. 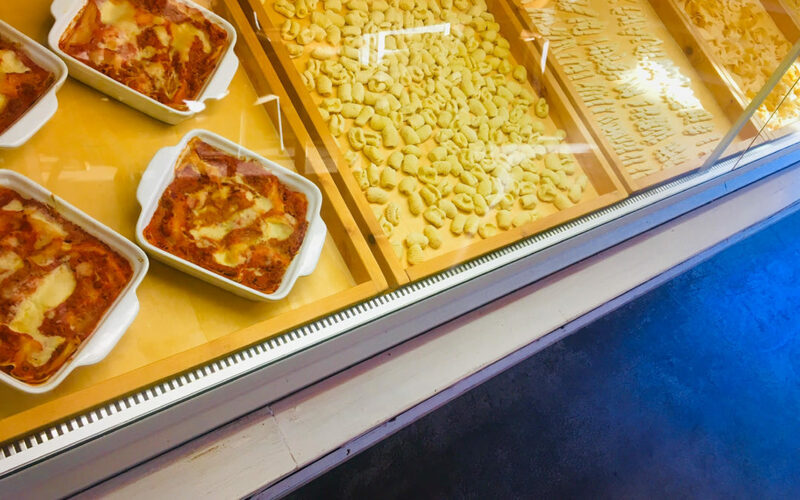 If you observe it, you will notice pasta nests, ready to be cooked, or bought (Gina Bistrot is also a pasta factory). «Eggs of quality, water and salt, are the basic ingredients, but you need a lot of passion. Every day we prepare all from the beginning, we do not keep the pasta of the previous day». Not only egg-pasta. «Sometimes we use spelt flour. Then, with bran, we prepare also orecchiette and fusilli». Our speciality seems to be ravioli. 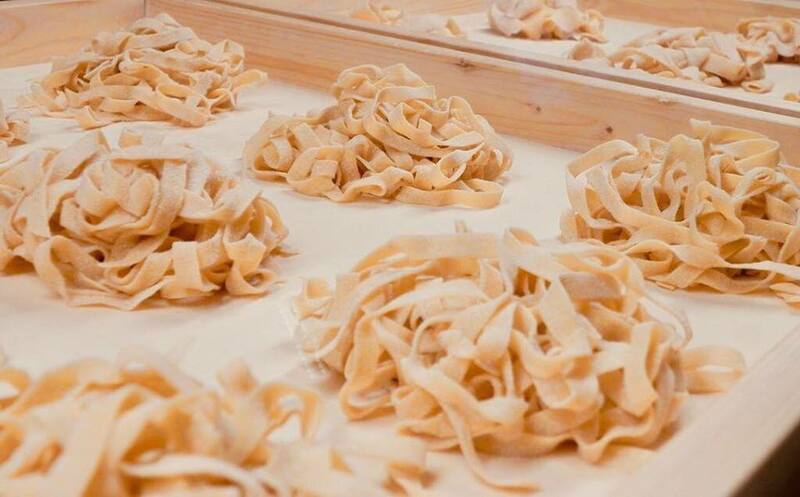 «We have inherited the passion for fresh pasta from our grandmothers. I am Roman and she is Apulian and we have also a passion for fresh cheeses». 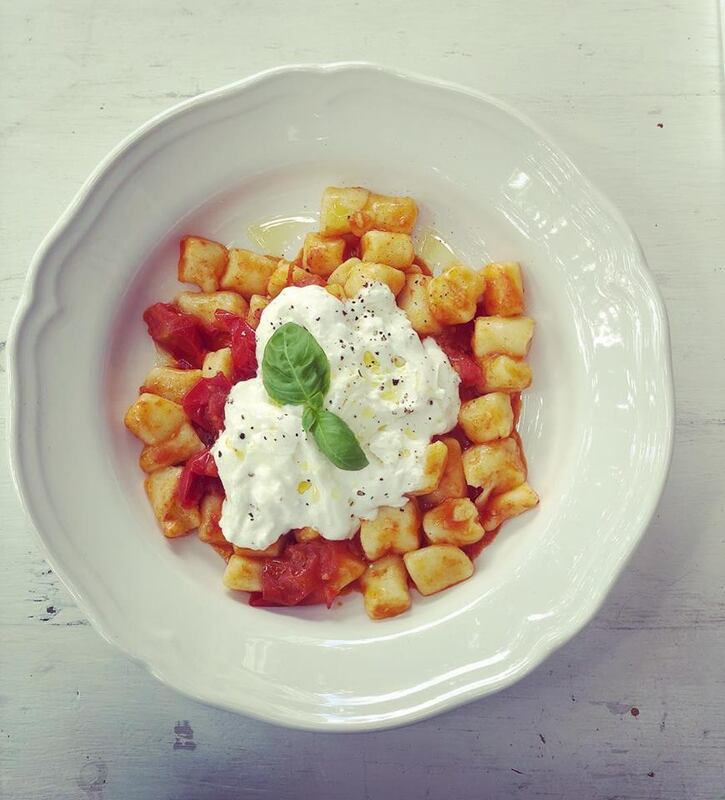 Another speciality is the filling burrata and turnip greens or scamorza in vegetarian ragù. Furthermore, we prepare also cookies, flat breads, fresh croissants, bundt cakes and fruit or nutella pies. For all the lovers of oven-baked dishes, we prepare also lasagne with ragù or with pesto and aubergine parmigiana. 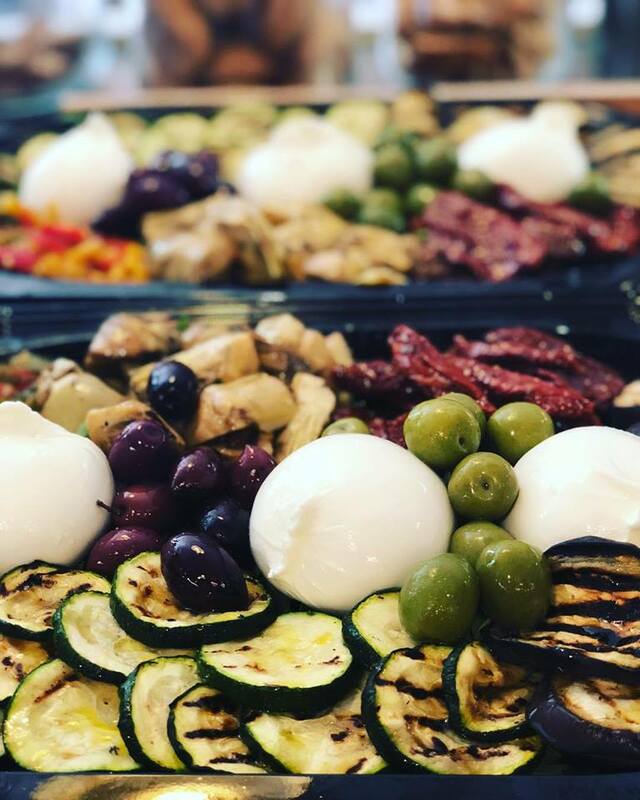 Gina Bistrot offers fresh porchetta, all the types of cold cuts, fresh cheeses, typical ingredients for appetizers or take away sandwiches and soups with beans, chickpeas, mushrooms, potatoes and leek. The variety of the menu depends on the season, so that we can always offer fresh products. Gina Bistrot is open from Monday to Saturday, always during the daytime, but for breakfast (smoothies, extracted juices, cappuccino and Lavazza coffee) and for lunch or dinner, but it is also possible to buy ice creams such as Softeis. The restaurant is quite spacious, we have more than 30 covers and it has a beautiful internal room where you can organize business dinners or a party (for children or adults), but only from 9 p.m. it is open only on reservation or for special events. If you want to spend some hours (besides eating), you can enjoy yourself with board games , that we make available. You can order Gina Bistrot’s dishes through the Deliveroo service. It is open from Monday to Saturday from 10 a.m. to 9 p.m., while on Sunday it is open from 12 a.m. to 3 p.m.